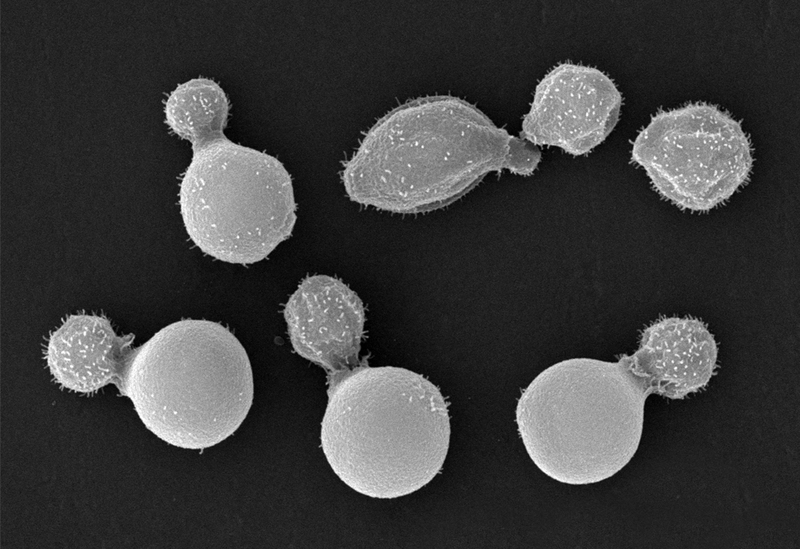 Wild type cryptococci imaged by scanning EM. Image by Felipe Santiago-Tirade. See Santiago-Tirado et al, 2016.